Tourists often question the safety of Harlem New York: they think New York is a dangerous city. However, this opinion comes from the 80’s and early 90’s, when there was a huge crack problem. Since then, a lot has changed. These days, New York is one of the safest cities in America. Harlem, in particular used to have a very bad reputation, but now, it’s heading in the right direction. I don’t have any problems walking around alone or at night. Most noteworthy, Bill Clinton doesn’t have a problem either: his personal office is located in Harlem. 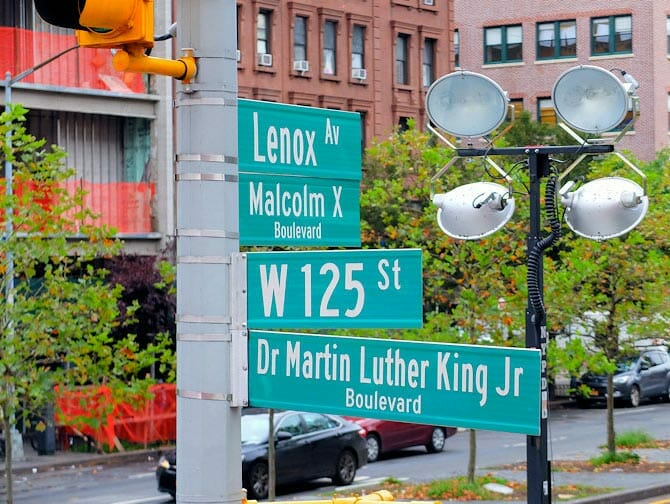 Harlem New York has a very interesting history with a lot of tragic twists and also some beautiful events. 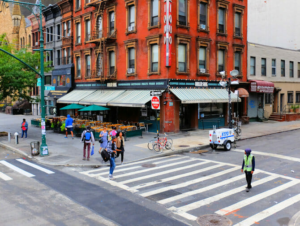 In short: it all started in 1626, when the Dutch named this area “Nieuw Haarlem” (New Harlem). Towards the end of the 19th century, it became a very chic area. This can be seen in it’s architecture: there are many beautiful houses. After the real estate crash in the 1930s, most of the wealthy white residents left the neighbourhood. Soon thereafter, African Americans from the South moved in to Harlem, looking for work in the area. 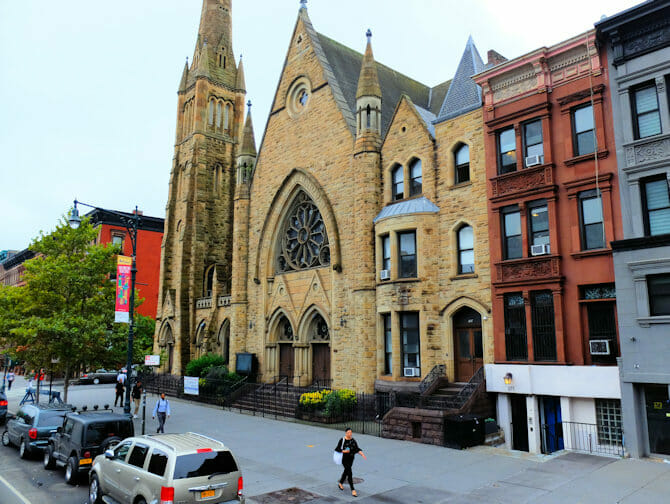 Harlem is, of course, known for its rich musical history and there is still a lot to see and do with regards to this. 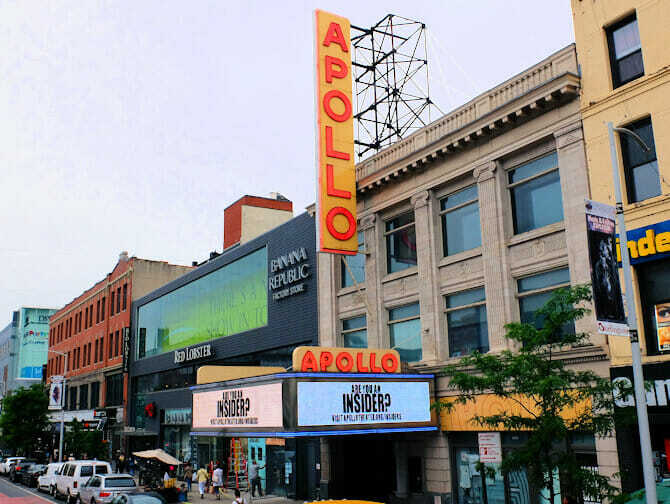 Certainly visit the illustrious Apollo Theater on 125th Street (between Frederic Douglas and 7th Avenue). They hold a weekly Amateur Night, where the audience determines the winner by booing or applauding accordingly. I also recommend taking a Gospel Tour in Harlem. Walking into any old church on a Sunday morning is certainly ‘not done’, so make sure you book a tour in advance. Tours run weekly on Wednesdays and Sundays. Eric’s Tip: Harlem is made up of a lot of different area’s, some of which are safer than others. 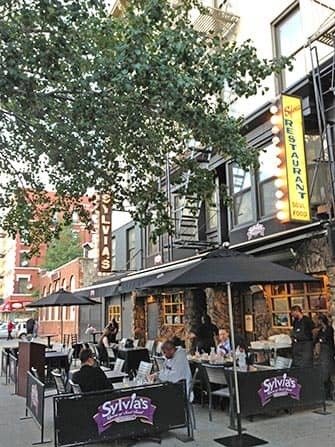 As a rule of thumb, up to 125th Street and west of Park Avenue is a safe area to visit. If you want to go sightseeing here, do it during the day. 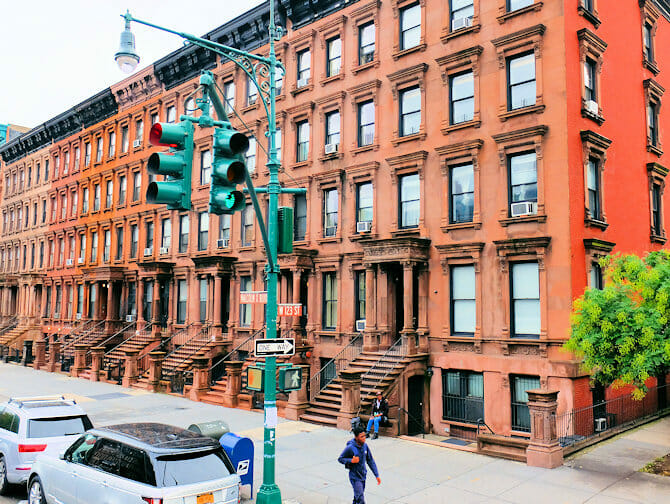 If you want to go to another part of Harlem, or have plans for an evening visit, I recommend taking a taxi and avoid wandering around too much. Go for traditional African American cuisine; Soul Food. It’s a lot like the food available in the Southern states of America (Louisiana, Mississippi etc.). With fried chicken, sweet potatoes and beans, it’s not the kind of food to eat if you’re on a diet! A nice place to go, (Obama once held a fundraiser here) is Red Rooster Harlem at 126th Street and Lenox Avenue. You will probably have to reserve at least a few weeks in advance, but I have also just dropped by and was seated within 15 minutes. Jam packed? 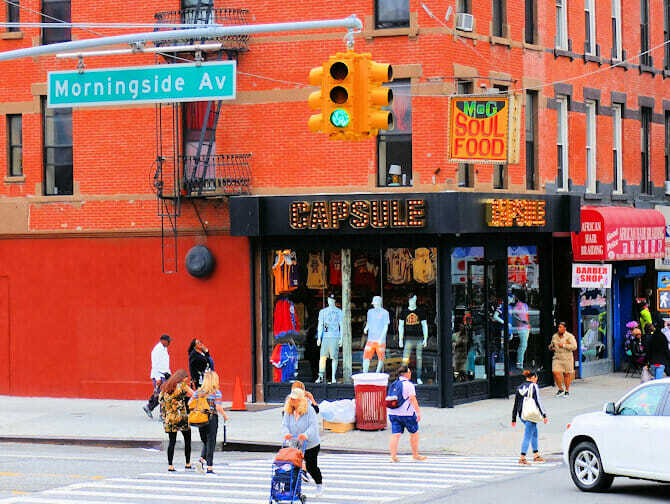 Walk one block down the same street to Sylvia’s Restaurant and enjoy Soul Food with a rich history.”Shrine” on Adam Clayton Jr blvd and 134th Street offers live music and few tourists. Very good.